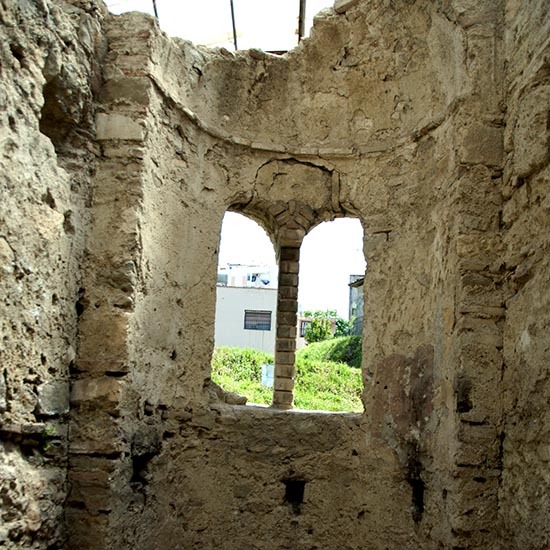 Immerse yourself in the monuments of classical Durres. Explore the archaeological sites with an expert guide and learn how the city was considered the “Tavern of the Adriatic” in ancient Albania. Your trip starts at 9:00 at the “Liria” Square. Explore the city’s 1930’s architecture as you walk along the boulevard. Visit the Ethnographic Museum and its artefacts displayed on the second floor of a traditional house from the 19th cent. It exhibits authentic objects of hand-crafts as well as a rich collection of Albanian traditional costumes. Next, you will visit the Roman Amphitheater from the 2nd century AD, built during the reign of the Emperor Trajan as one of the biggest amphitheatres in Balkans. The Roman Amphitheatre and the city of Durrës are unusual for their extraordinary degree of preservation, particularly for its large stretches of undisturbed stratigraphy. About a third of the amphitheater was not set on manmade supports, but on natural ones, utilizing a precipitous hillside to support its northern seating, or cavea. 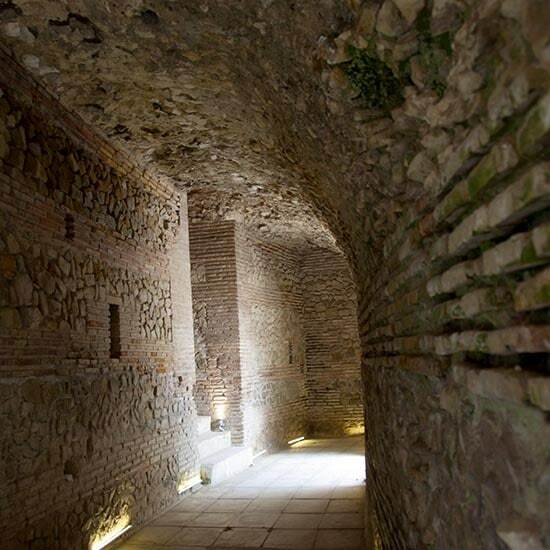 On the way to the archaeological museum you can admire the Byzantine Wall, an engineering masterpiece, built during the reign of Emperor Anastasius ( VI cent AD ) whose origin was from Durres, and the seaside promenade enjoying the fresh air and the view of the largest bay in Albania. The Byzantine Chapel is our next stop. An early Christian chapel built into the western side of the amphitheater. 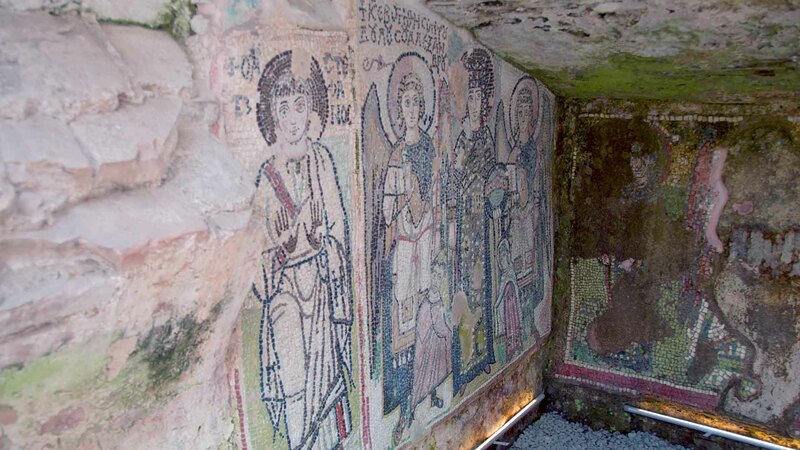 Its western alcove preserves a unique polychromatic mosaic representing Christian iconography in almost their natural sizes. If you’re interested in Durres history, or even just curious about it, Durres Archaeological Museum has some of the best exhibits. Having a guide at your side as you explore means you can ask as many questions as you like! The Venetian Tower and the Byzantine stretch of wall – A 15th cent intervention done to the byzantine fortification of the city. A flight of stairs takes you to the roof which gives you the opportunity to watch the seaside and the surroundings of the old city.